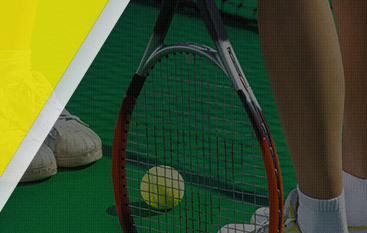 At Gorin Tennis, we’ve had the privilege of working with a number of outstanding professionals: Dmitry Tursunov, Igor Kunitsyn, Irakli Labadze, Jimmy Wang, Sophia Zuhk and Yaroslava Shvedova (WTA 25 Doubles 3). July 11, 2015-Alumni Sonya Zhuk claims the title of Wimbledon, Jr., a strong start to a very promising career. 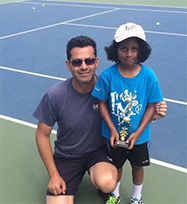 September 16, 2015-Nav Dayal wins the Little Mo West Regional Championships in the 8’s category, goes on to Nationals. 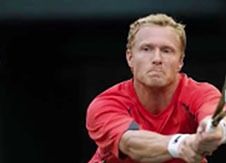 October 25, 2015-Dmitry Tursunov, returning after a year spent recovering from an injury, wins the doubles title with partner Andrey Rublev at ATP Kremlincup. February 2, 2016-Stefan Leustian wins Le Petit As, the prestigious world indoor championships. 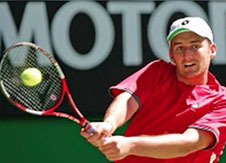 Taking place in Tarbes, France, Stefan competed as a member of the USTA team in the 14’s junior tournament. 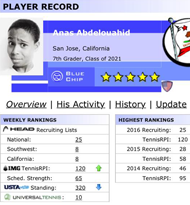 March 1, 2016-Anas Abdelouahid becomes one of the top ranked players at Tennis Recruiting. 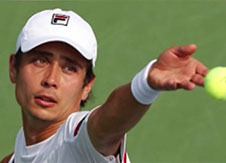 He began studying at Gorin 3 ½ years earlier with no ranking whatsoever in the challenger level tournaments. 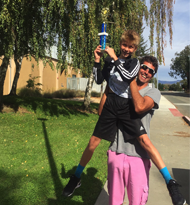 April 9, 2016-Arin Pallegar, at age 8, reached the finals of the boy’s 12 challenger located in Manteca. 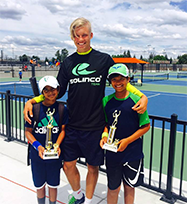 August 10, 2016-Brothers Nav Dayal and Pranay Dayal sweep the Little Mo West regionals. 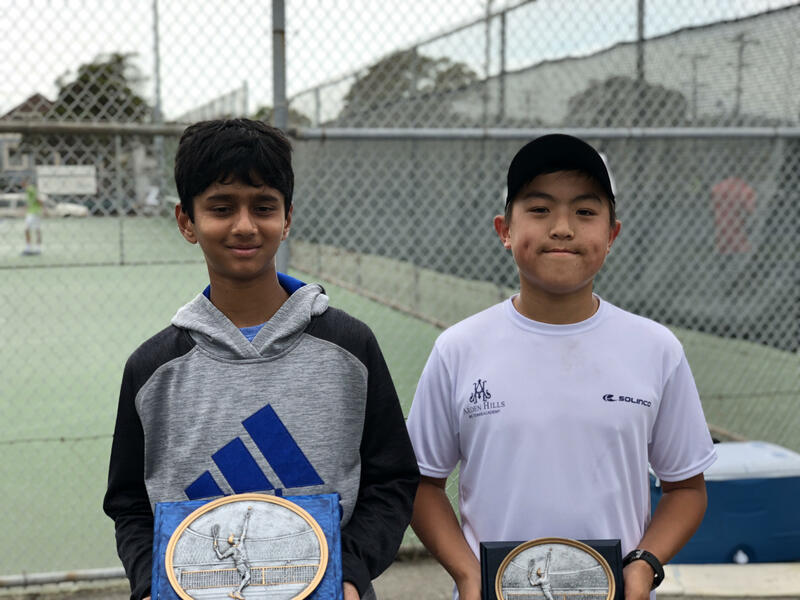 Nav wins the 9’s age division, while Pranay wins the 12’s age division. 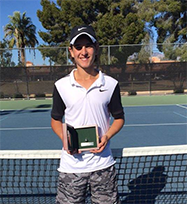 October 22, 2016-Matthew Maznik wins the Solano Junior Open. Boys 14-1st place Aniketh Poruri, 2nd place Calix Huang, 3rd place Cabir Gupta! 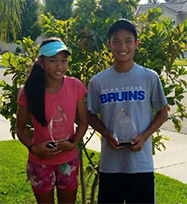 Congrats to both Alexis and Logan for winning their divisions of the Stanford Grand Prix today! Dayal brothers sweep 2016 Little Mo West Regionals. Congrats Nav for winning the 9's and Pranay for winning the 12's age divisions. Now time to get ready for the Nationals! 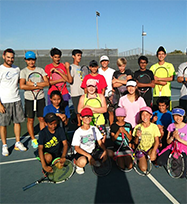 Gorin players and coaches in San Jose posing after a good day of practice. The players all worked hard and deserve their improvement! BIG CONGRATS TO TEAM DAYAL! 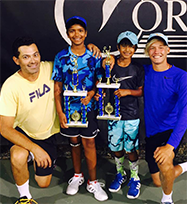 The Dayal brothers both qualified for the little Mo Regionals with Nav wining the Little Mo 9's sectionals. Nav dropped only 4 games in the entire tournament to earn his way to the winners podium. 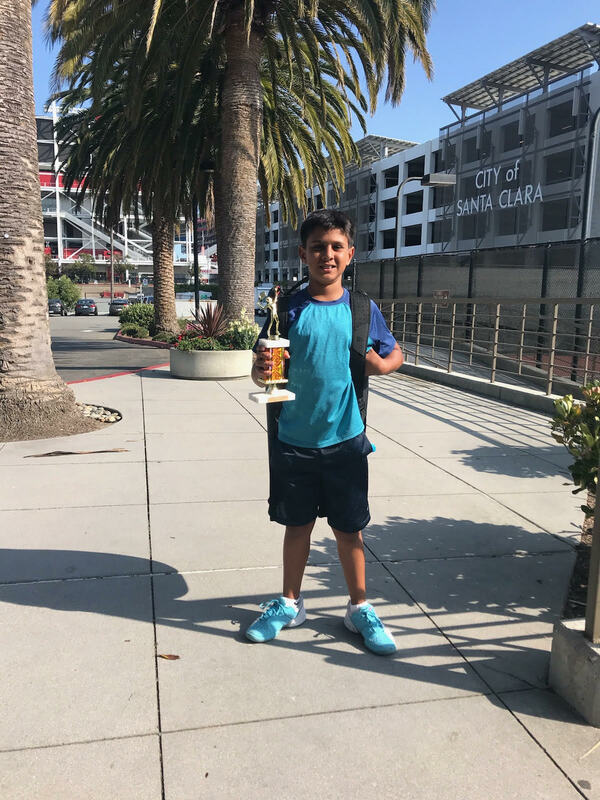 Arin Pallegar (age 8) reached the finals of the boy's 12's challenger in Manteca last weekend. Way to go ARIN! ANAS ABDELOUAHID EARNS HIS BLUE CHIP! 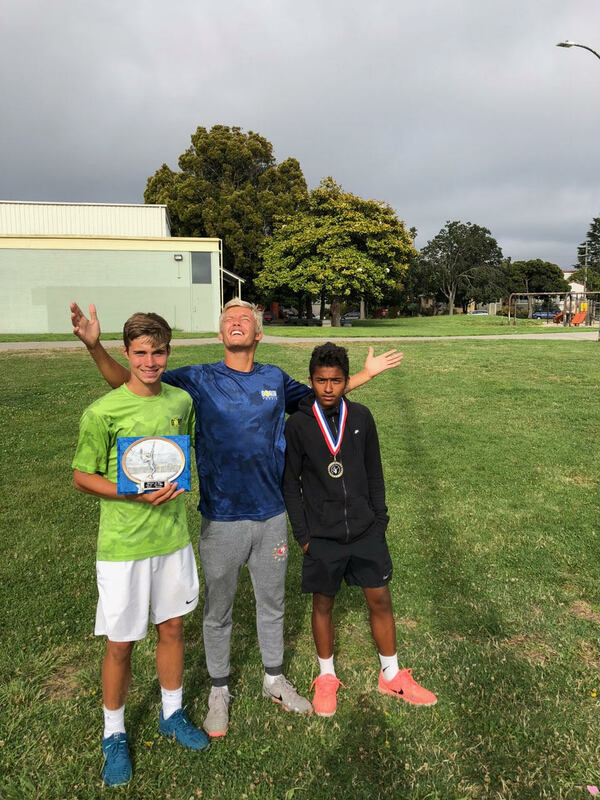 After three and a half years with Gorin Tennis Academy and starting with no ranking at the challenger level tournaments, San Jose's, Anas Abdelouahid has become one of the top national ranked players at Tennis Recruiting. CONGRATS ANAS! Stefan Leustian wins the world's most prestigious 14's junior tournament, Le Petit As (considered to be the indoor world championships) in Tarbes, France. Huge CONRATS to STEF and the USTA team members that traveled to France to represent USATennis together! Stef takes home the silver ball. Super series at Fremont! Congratulations to all our students! 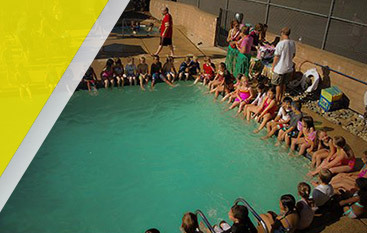 San Jose, Granite bay. 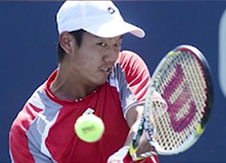 Gorin Tennis Academy! Great weekend in Calabasas! Congratulations Egor Noskin,1st place! 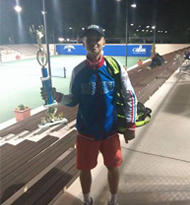 A little late in the post but Gorin tennisacademy player Nav had a great result. 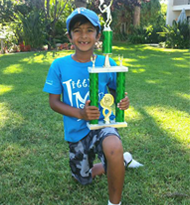 HUGE congrats to NAV for winning the Little Mo West Regional Championships in the 8's category. Nav headed to the Nationals! 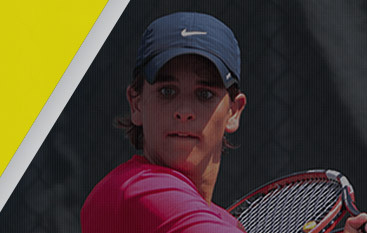 Another Gorin Tennis Academy player entered the ATP Top one hundred club today! 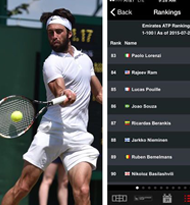 Congrats Niko for reaching your best ranking to date. 90 ATP World Tour. 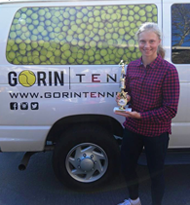 Huge congrats to another Gorin Tennis alumni Sonya Zhuk for claiming this years Wimbledon Jr. Title. We wish you a great year and a strong start to a promising pro career.